18.06.2016. Queens Club, London, England. Aegon Queens Tennis Championships Day Six. 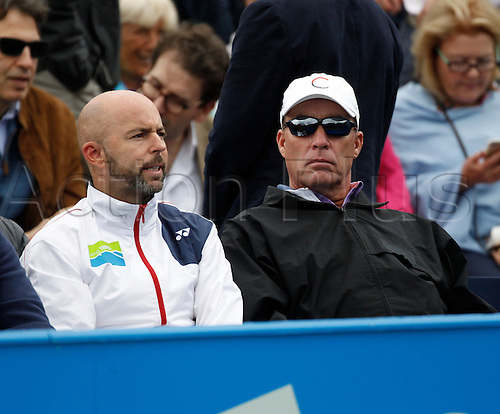 Ivan Lendl wiith fellow coach Jamie Delgado watch Andy Murray (GBR) in his semi final match against Marin Cilic (CRO).